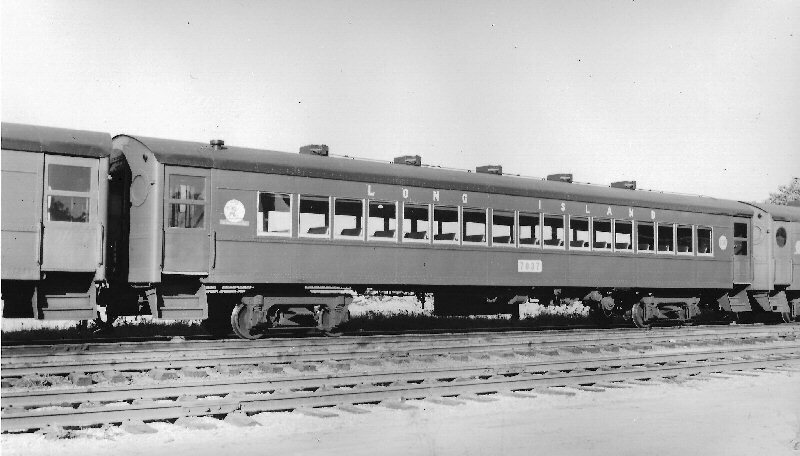 The "ping pong" cars were built in 1927, with the intent of later conversion for MU service. 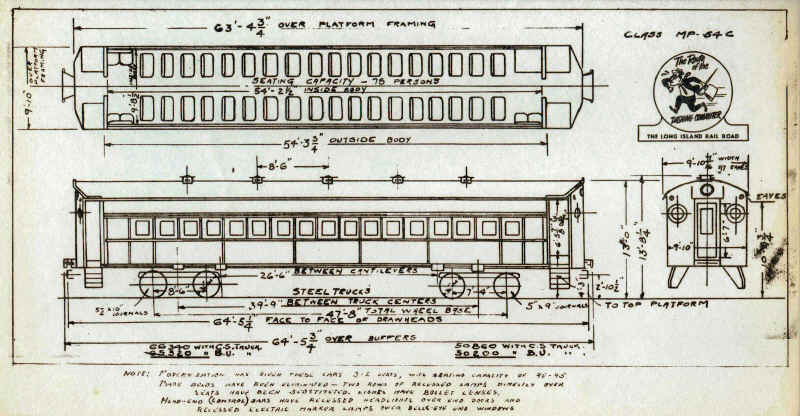 The entire railroad was envisioned to be electrified by 1963, so the P54's were equipped with the "temporary" trucks that we all know remained in service until 1974. At that time one of them literally disintegrated at high speed when the center pin fell out in Woodside, the truck struck a plate girder bridge and precipitated the immediate scrapping of the last of them. 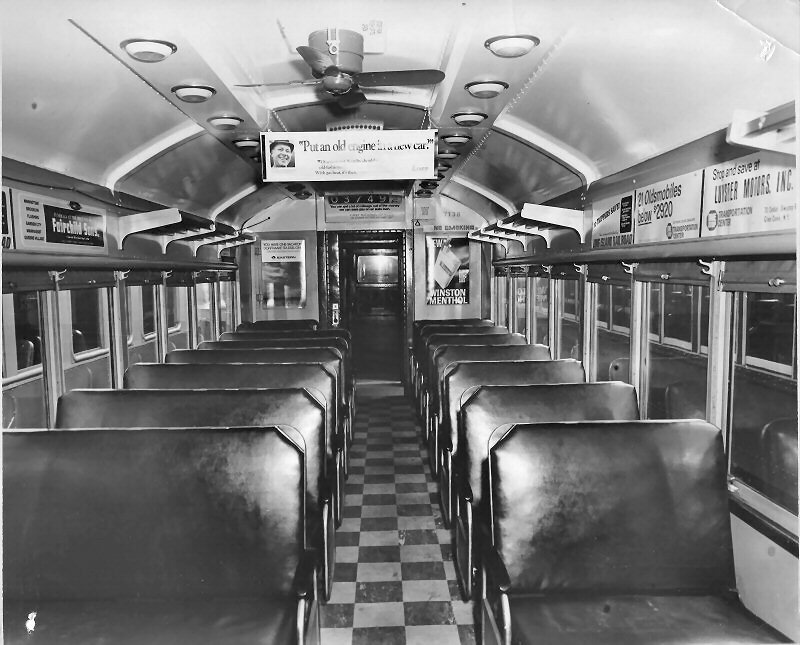 The interior lighting on these cars was powered by 32 volt batteries charged by a small generator run off the axle through a wide leather belt. The light bulbs were 32 volt light bulbs. 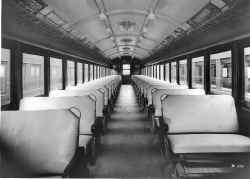 When the glass batteries went bad, the lights would dim or extinguish whenever the train slowed or stopped. The heating was steam supplied by the locomotives. 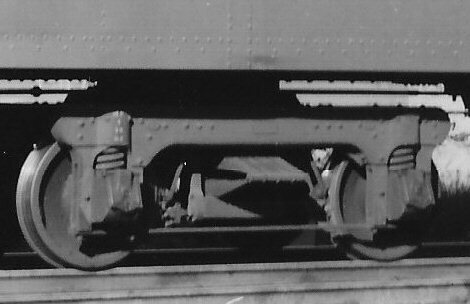 The several ping pongs that were converted to electric service probably became the T-45B class, and I never heard of any cars equipped with shoes that remained in steam service. I do know that there was a class of car (part of the T-54 class) that was an MU trailer without batteries, heating, fans or interior lighting. 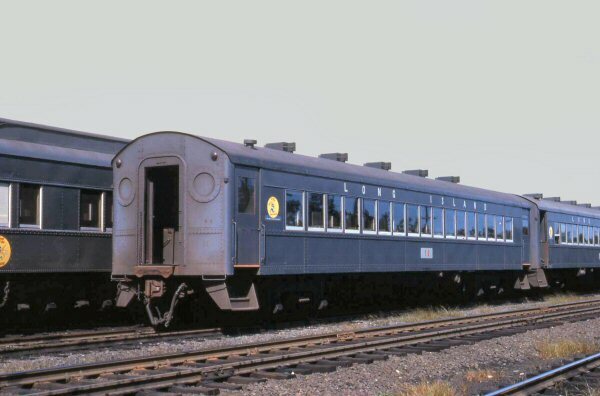 These were placed in service to handle Rockaway Beach summer service and later Aqueduct and Jamaica Race Track trains. 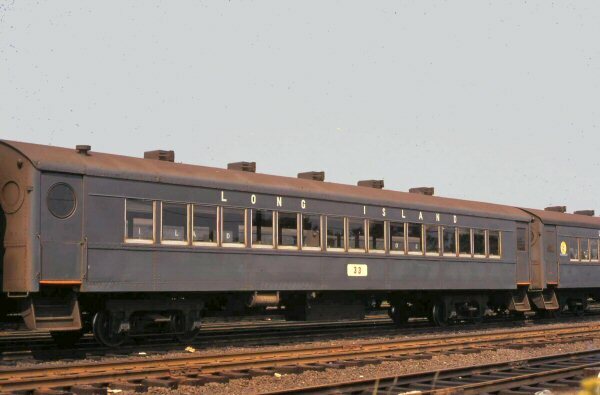 These were also arch-roof cars. I just wanted to clarify something you said. Technically, pings were steam/diesel hauled cars. They were originally built as MUs and had the traction motors and all the equipment associated with electric operation. When they were converted to steam operation, they lost weight and, therefore, bounced like a ping pong ball! But we all knew you were referring to the MP54's. Yes, you might say the Long Island did have trouble with them. 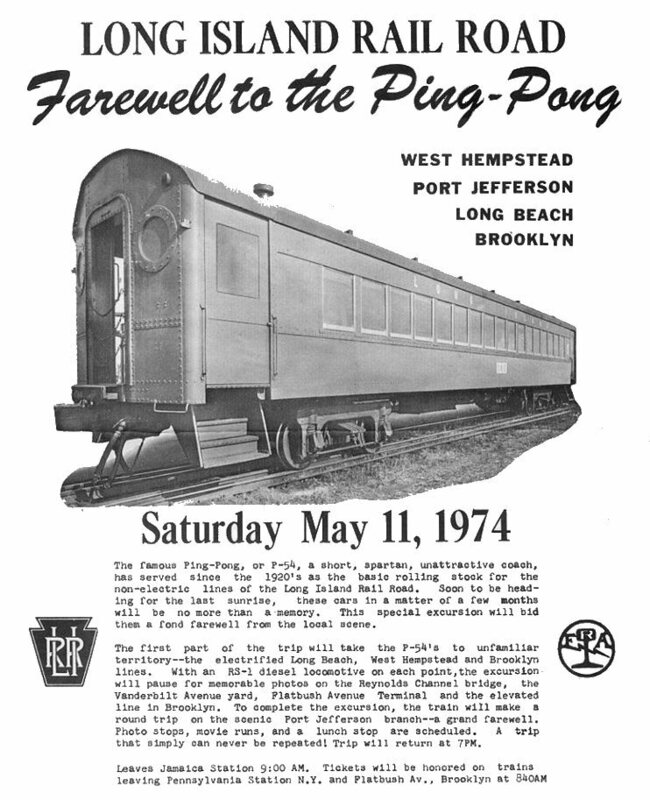 What ended the life of the ping-pongs was the instant deterioration of a truck at Woodside at a high rate of speed on a summer day in the mid-'70's. The thing just fell apart, with the car striking a bridge girder. After a quick assessment of the Truck Problem, they were all scrapped. See the crewmen in the car hanging out ready to either dead head into Jamaica or ride into the station and start work? 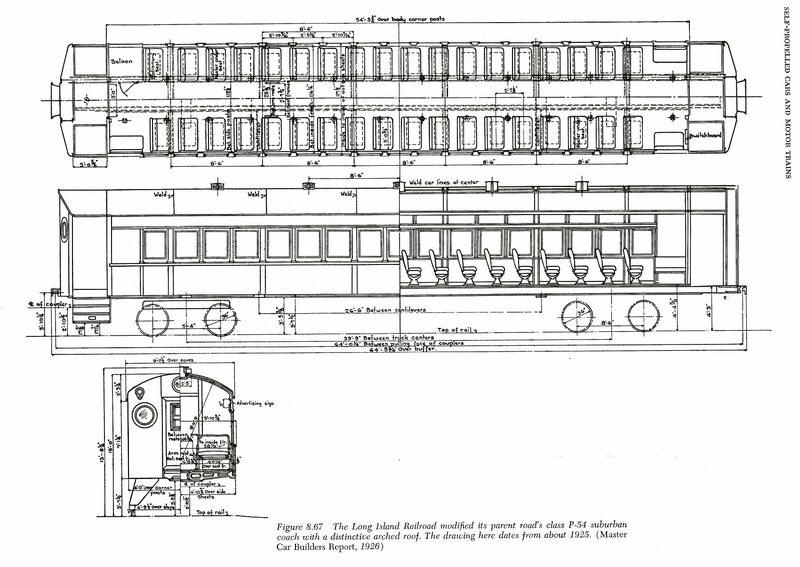 According to Ed Kohler, Jr.'s LIRR steel car rosters (2), #7433 has an interesting history! 1. 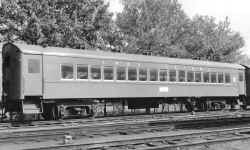 Built by American Car and Foundry between May and June, 1923 as a class P54E steam car. To the average commuter on the LIRR during the middle of the twentieth century there is probably nothing that symbolized their hours spent riding the rails more than the inside of a Ping-Pong coach. The P-54 coach as it was classified was designed as a lightweight coach to replace the wooden fleet. 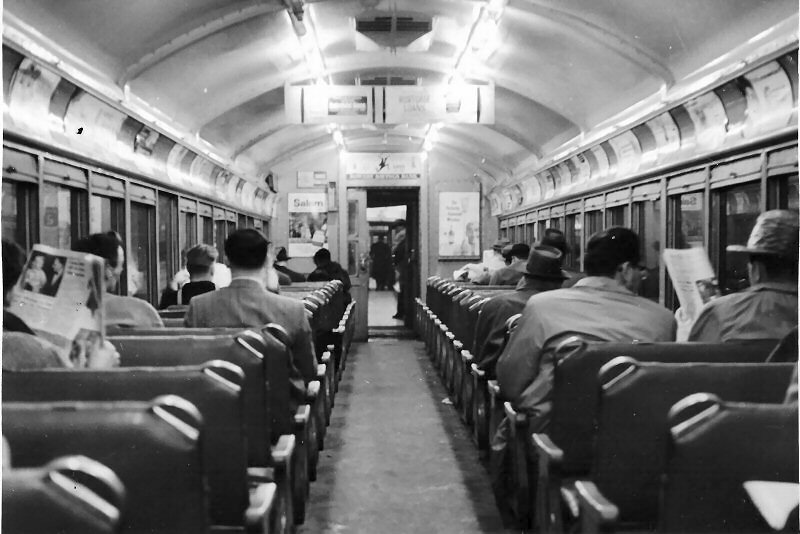 The light weight and truck design also resulted in the rough ride that earned the cars their nickname. 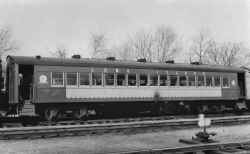 An interesting feature of the cars is that they were made to be converted from steam hauled to electric with relative ease. They served the LIRR faithfully for an impressive 60 years! 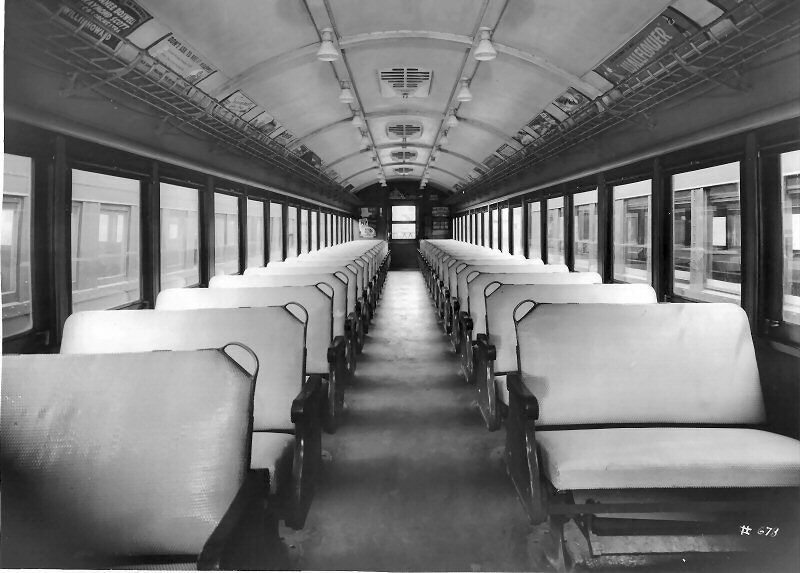 When the last were retired in 1974 many found homes on tourist railroads. 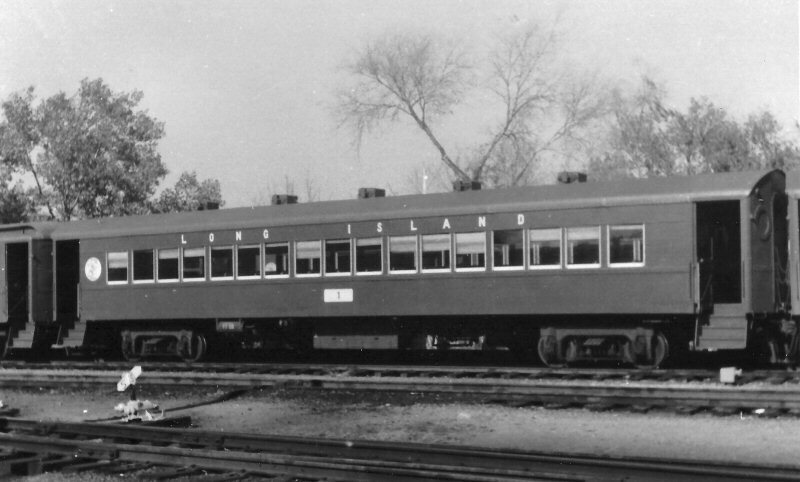 Subsequently, none were saved by any preservation group on Long Island, leaving a major gap in telling of the story of the LIRR. In the recent past a few opportunities have come up to rectify this. 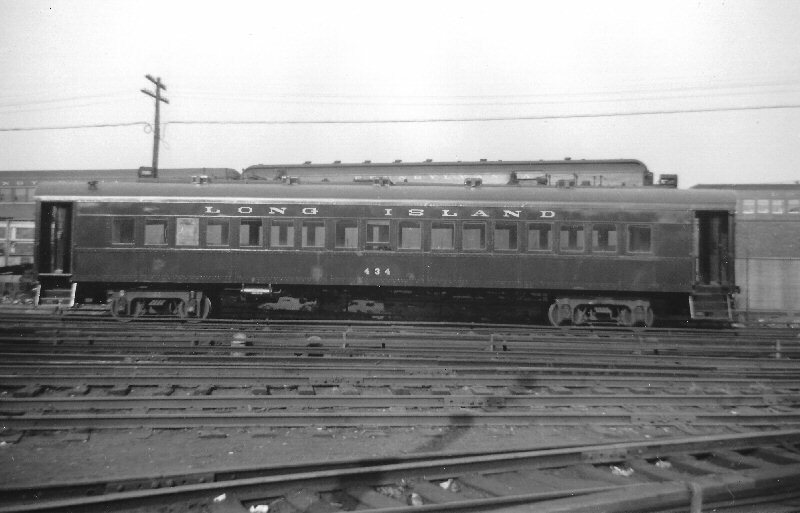 Such opportunities included the car on the Long Island Expressway and the batch of cars in Boonton, NJ. 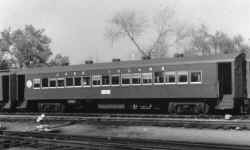 Unfortunately the cars that were available had been gutted or significantly altered and all suffered badly from corrosion thus making their salvage and restoration cost prohibitive. 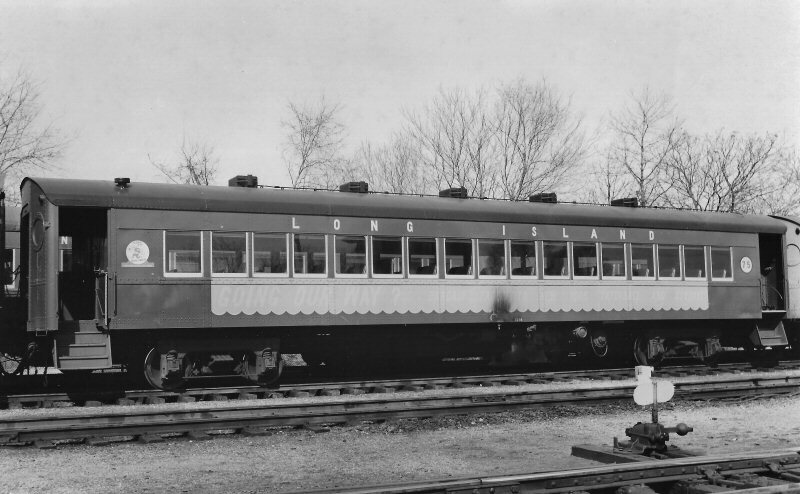 Recently the Knox & Kane tourist railroad in western Pennsylvania closed its doors for good and sold off its equipment. 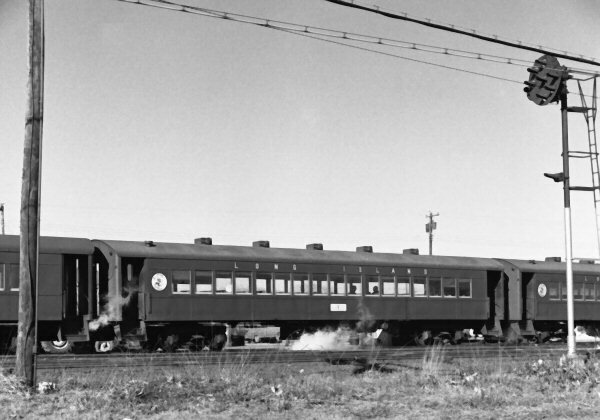 A scrap metal dealer bought a good portion of the rolling stock, including three Pings. 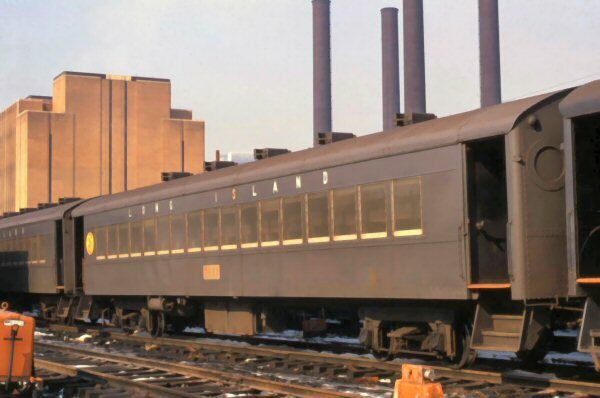 Thanks to our friends from Island Rail LLC we were put in contact with the scrapper and arrangements were made to inspect the cars. For cars that are notorious for rotting out, these are remarkably solid, a testament to the care and maintenance given by the Knox and Kane. 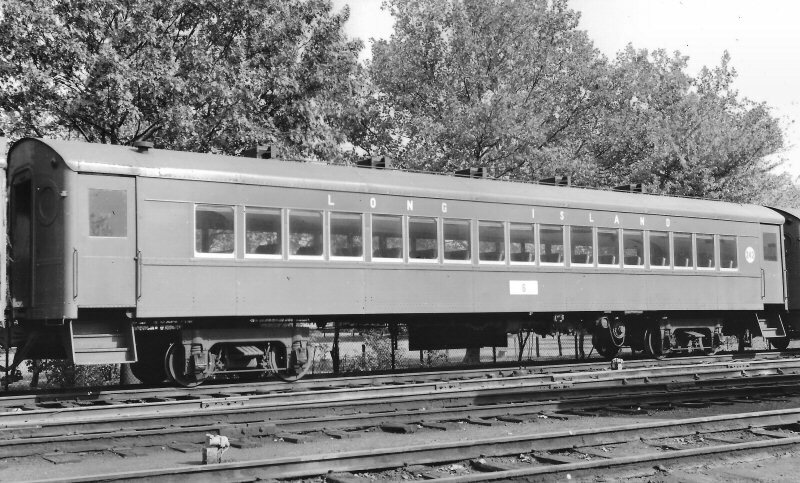 One car in particular, P-54 #7433, is in remarkably good shape and still retains its original seat frames and classic round windows. 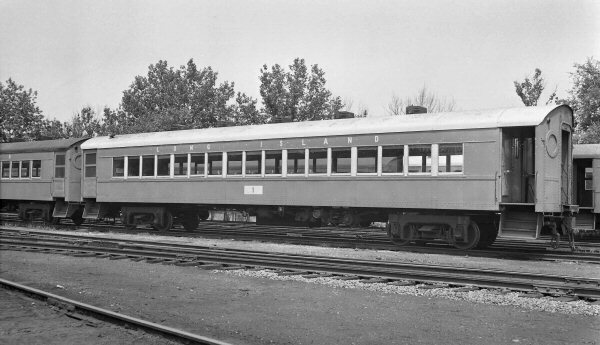 While we are very picky when it comes to adding rolling stock to our collection, this car was simply too good to pass up and the odds of finding another car in as good of shape are very slim. After an inspection trip by the OBRM we have purchased it for inclusion into the museum. This car is a very important acquisition and in reality, we had planned for such an acquisition in our long range plans in the hopes that such an opportunity might arise. The cost of purchasing, transporting and restoring the coach are considerable but we feel that the collection would not be complete without it. As it stands now the car should be delivered to Oyster Bay in March/April of 2009. Naturally, we are seeking donations toward this cause. 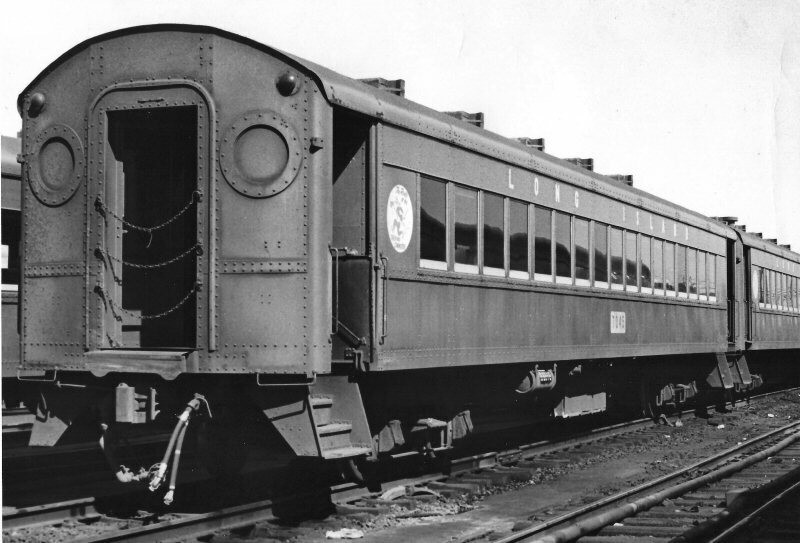 For all those impassioned lovers of the ping-pong and those wishing to ensure the continued preservation of the LIRR's rich history, here is your chance to make a difference. Please consider sending a tax-deductible donation to us and mark your check's memo box "PING PONG". Donations may be sent to: OBRM, P O Box 335, Oyster Bay, New York 11771. Note: This trip never materialized.